FIA World Rallycross Championship 2019 is under a huge question mark. We have information that none of the professional factory teams entered for the next season. PSRX Volkswagen, despite the great Kristoffersson season, withdraws from the competition! This is another reaction to the decision of switch to electric cars in 2020. Will we see only Euro RX 2019 instead of World RX 2019? Peugeot has withdraw from the World Rallycross Championship after the final round of the 2018 season in South Africa. The manufacturer announced in conjunction with news about the development of a new range of electric sports vehicles for 2020 season. “Peugeot will concentrate its resources on developing these new [electric sports] vehicles and has therefore decided to withdraw from the WRX championship at the end of the 2018 season, whose evolution towards electrification is uncertain” said Peugeot brand CEO Jean-Philippe Imparato in a tweet. The news comes less than two months after Audi withdrew its support of Mattias Ekstrom’s EKS Audi Sport team in the series in favour of focusing on Formula E and DTM. Peugeot’s withdrawal means Loeb is without a full-time programme for 2019. Audi will end its World Rallycross programme at the end of the season and won’t participate in World RX’s switch to electric cars. We’ve got information that Volkswagen is also giving up World RX 2019! What now? We have received information that no factory team has entered for the World RX 2019. Volkswagen is withdrawing from the competition. There are no official comments yet, but you can expect an official statement in the near future. Many people expected that after the successful 2019 season PSRX Volkswagen team will follow the blow. 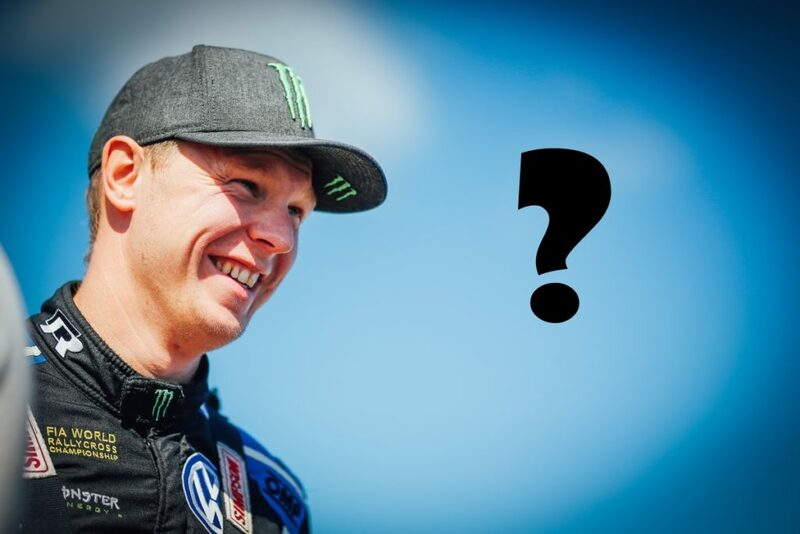 Will we see Johan Kristoffersson in World RX 2019? We don’t know what fate awaits Johan Kristoffersson next season. We cannot imagine World RX 2019 without him! What other series will complete this lack? New GRC in Europe series? Maybe RallyX Nordic? Let us know what you think in the comments. We will inform you when official information appears. UPDATE 29/11/2018: There are a lot of offensive comments towards our site. IThe source is more certain than the World Champion title this year! We can not disclose it because of the talks between factory teams and people who want to take over cars to private teams. That’s what Sebastien Loeb wanted to do! Manufacturers use a prohibitive price policy – over EUR 1 million for a car or refuse to sell! Time will tell who is right! Wait for the official statement. We have not written that World RX 2019 will not take place. The decision belongs to the organizers. What is the prestige of the competition without factory teams?